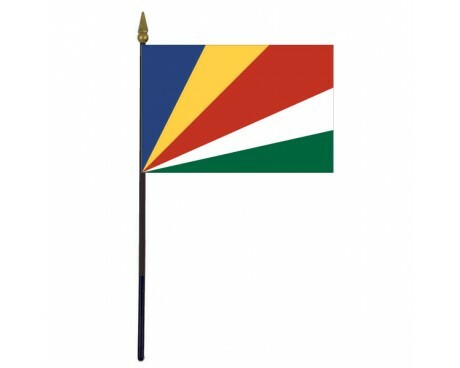 Seychelles Stick Flag - 4x6"
Seychelles Historical Stick Flag - 4x6"
The Seychelles have the smallest population out of all of the nations in Africa, but that hasn't stopped the islands from developing a long line of historical flags. The modern Seychelles flag is the third that the nation has used since it gained its independence, and it follows in the footsteps of two distinct colonial flags. The modern flags show minimal influence from the colonial flags, which gives the Seychelles flag meaning as a symbol of the clean break that the Republic of Seychelles has made from the colonial past. 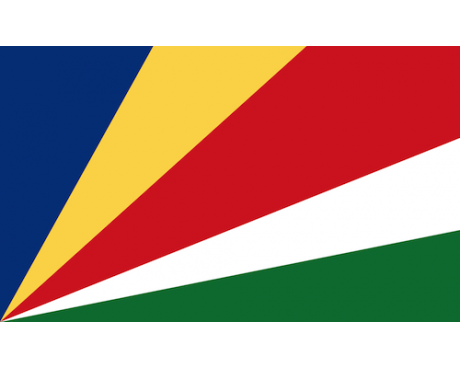 The Seychelles flag is made up of five bands that radiate out from the lower-hoist corner of the flag. The band that is closest to the flag's hoist is blue, and it is followed by a sequence of yellow, red, white, and green bands. 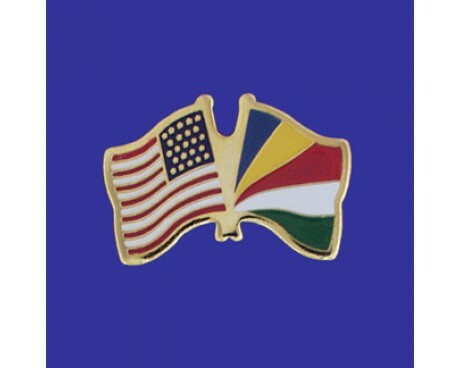 The blue band represents the sky and the sea that surround the islands, the yellow band stands for the sun, the red represents the people and their willingness to work together to build a better future, the white band represents justice, and the green band represents nature. 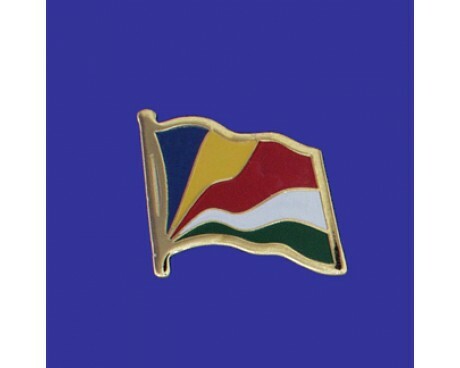 The use of five bands that radiate from a single point is intended to give the Seychelles flag meaning as a symbol of the nation's efforts to move towards a brighter future. Seychelles was part of the British Empire, so its first two flags followed the same pattern as most of the other British colonial flags. They had blue fields that displayed the Union Jack in the canton and the colonial seal in the fly. The first flag came into use in 1903, and it was replaced by the second colonial flag in 1961 when the colonial seal was changed. That flag was in use for fifteen years before Seychelles gained its independence and adopted a new flag. The first flag to represent the Seychelles as an independent nation was a white saltire on a field of blue and red that came into use in 1976. 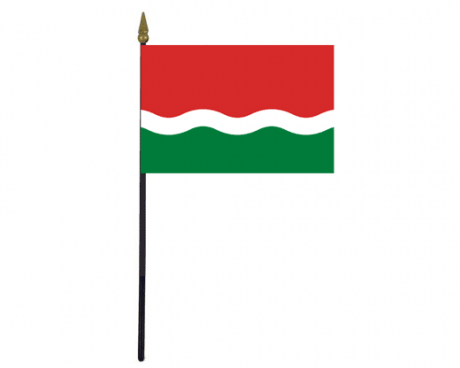 Political changes within the nation led to the adoption of a new flag in 1977, which consisted of a wavy line of white that divided the flag's field horizontally between sections of red and green. That flag remained in use until 1996, at which point it was replaced with the nation's current flag.